Speedo & The Cadillacs 2010 interview - Pop, Rock & Doo Wopp Live! Joe: What was your first introduction to show business? Speedo: As a kid in elementary school, I loved Bill Robinson, “Bojangles”. So I got myself a cane and a hat and I used to whistle Sweet Georgia Brown. I would do a little tap dance and I really didn’t know what I was doing, but people seemed to enjoy it. I was always interested in rhythm and blues, but then rock and roll came. A young man came from Cleveland by the name of Alan Freed and I was impressed with what he was doing. It all boiled down to one thing – entertainment. That’s what I wanted to do – entertain people. Joe: What was your introduction to group harmony? Speedo: A few spiritual groups – The Swan Silvertones, Sam Cooke’s group The Soul Stirrers, The Five Blind Boys. As far as R&B, The Orioles, The Five Keys, Jimmy Ricks & The Ravens… The Dominoes were very impressive. Bobby: My favorite group was The Clovers. I always wanted to be a bass singer and the bass singer in The Clovers made a big impression on me – Harold Winley. He caught my ear – he started me wanting to be a bass. Joe: Your first experience in the recording studio became one of the most influential and most-recorded songs in the history of vocal group music. Tell me about Gloria and how you got that incredible echo effect at the beginning, where it sounds like you’re coming from the end of a tunnel. Bobby: Well, that was the idea. It sounds like he’s off in the forest somewhere and each time he sings “Gloria”, its closer and closer. Speedo: That was a studio technique. Falsetto was very popular, so I put a little falsetto into it. That high tenor voice would always stick out a little more in the harmony and that’s what we did. We put a little doo wop to it, that’s what I guess you would call it. With the falsetto and that far-away sound, it caught on. Joe: Bobby, your bass voice is so prominent on that record. What did you think when you heard it played back to you? Bobby: It knocked me out. I never knew I sounded that deep. The studio did that – they could soup-up your voice! Speedo: We put it together. The group was very talented in arranging the tunes that we did, but we weren’t too familiar with publishing and copyrights – we were artists. Those were the days of the rip-off so everybody got ripped off as far as writing and publishing. If you look for the writer credit on most of the recordings, you’ll see the writing by Esther Navarro. She was not a writer, but a hell of a manager. She brought us along and introduced us to people to help our act become bigger and better, but she was not a writer. We basically wrote all those tunes. Hopefully, one day we’ll get the publishing and writing credit. Speedo: We were all young and wild – I remember that! Bobby: Papa Clark was also with The Five Crowns and his brother was in The Harptones. Earl Wade was also with The Opals. Joe: How did the nickname and the song Speedo come about? Speedo: We were working at an armory in Massachusetts with Connie Francis, The Moonglows and several other acts. It was a successful engagement and we were getting in the car to come home – back to New York. Bobby Phillips, the ham of the group, saw a big bombshell and said, “Hey Speedo, there’s your torpedo.” And the guys just fell out laughing because they used to tease me about my head being pointy. I was a little upset with it so I turned to Bobby and said, “My name is Mr. Earl as far as you’re concerned.” By the time we got to New York, we had lyrics and just about all the music that we needed. We went in and recorded it and it was our biggest hit. That was 1955. Joe: What kind of influence did it have on you when you saw The Regals do “Got The Water Boiling” live at the Apollo Theater? Speedo: Bobby Schiffman, who owned the Apollo Theater with his father, was managing The Regals at the time. They were very talented and they were ahead of their time – with performances and with their sound. They had a unique sound. They were doing a lot of show tunes and we took their “wop-wah-shoo-be-doop” and put it into Speedo and the rest is history. Joe: How did you come to be known for your choreography? Bobby: Cholly Atkins had a lot to do with that. Speedo: We used to work on it for 8 hours a day at the Ed Sullivan Theatre on Broadway. Cholly Atkins and Honi Coles were amazing – they looked like just one person, they were that close. Gary: In Gentleman Prefer Blondes, they did the slowest soft shoe ever filmed. Speedo: Then he said, “Can you count? Well, then, give me 2 guys up here right now. Here’s what I want you to do. All you’ve got to do is count – 1-2-3-4-5 – Now, put those steps together. “ We looked around and we were dancing! Speedo: …and a couple of guys in the group thought they were Fred Astaire. Big Earl Wade and Buddy Brooks – you couldn’t tell them that they weren’t Fred Astaire. Joe: When you saw The Coasters, did you think they had taken a page out of your book or were you inspired by them? Speedo: They really impressed me. They weren’t only singing and had good material, but they were actors on stage. Everyone was playing a part. I thought that was fantastic because I had never seen a group do that before. Our song Peek-A-Boo was actually written for The Coasters. The writer, Jack Hammer, took it to Lieber and Stoller, the Coasters’ producers, but they wanted more than 50% of the tune. So he said, “No. Forget about it,” and he brought it to us. We were always in love with The Coasters’ sound, the two-part harmony type of thing. We went into the studio and did it and it came off very good for us. Joe: In later years, you sang with The Coasters. How did that come about? Speedo: Well, The Cadillacs and I had a little misunderstanding with management and we thought it was best to cut loose at the time. The Coasters were going to Chicago for 9 days and they told me if I would like to join the group, they would love to have me. So in 1961 or so, I took Cornell Gunther’s place. I was with The Coasters for over 20 years, but then in the early 80’s, Subaru offered me a commercial and asked if I could get The Cadillacs back together. They were using different stars with car names. They had Susan Ford, the President’s daughter, Mercury Morris, the football player, and it ran very well for a whole year. Speedo: I approached the guys, they flew us to California. We did the commercial and the commercial was so successful, that’s what really got us back together. We started working again and doing different things. 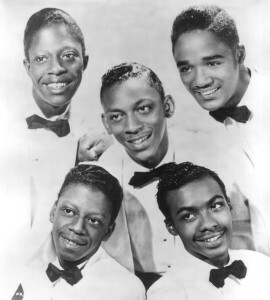 At the time, we also had Johnny Brown who had sung with Bill Baker’s Five Satins. Unfortunately, he passed away about 4 years ago. Joe: Speedo, you’re sitting at home, watching this made-for-TV movie about The Temptations and all of sudden, there’s Otis Williams of the Temptations being portrayed as a kid in the audience at a rock and roll show and there you are – being portrayed as the group on stage that inspired him. 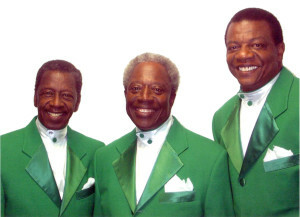 Speedo: The Temptations have always been a favorite of The Cadillacs and they say that we have always been a favorite of their group and that we started the dancing thing. 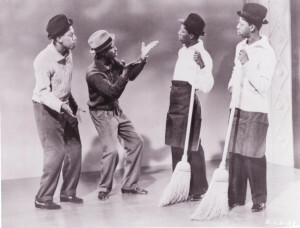 Cholly Atkins had gone to Motown and started teaching everybody at Motown. They could always sing, but they were inspired by our routines and our dress. I guess The Cadillacs were always one of their favorite groups. Otis calls me from all over the world and wishes me the best or if Otis is in Atlantic City, he’ll invite me down to spend a few days with him. It’s been a living relationship. We stay in touch. Gary, how did you get started in the business? 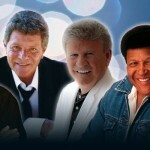 Gary: I saw the Will Mastin Trio with Sammy Davis, Jr. and I knew what I wanted to do. Then, in 1955, Alan Freed had a show at the Loews that had The Harptones, The Moonglows, Lavern Baker, The Five Satins and quite a few other groups and it blew me away. Alan Freed came out with his plaid jacket and I was hooked. I wanted to get into a group. I was already singing in a group in Boston, but not at that level. We didn’t have any records. And I had first seen The Cadillacs at the Apollo around that time. In those days, you could go in and stay so I watched like 4 shows. When I was through, I had their routines. I watched their feet and counted it out. They were so great and so smooth. Joe: Tell me where your love for choreography and singing took you? 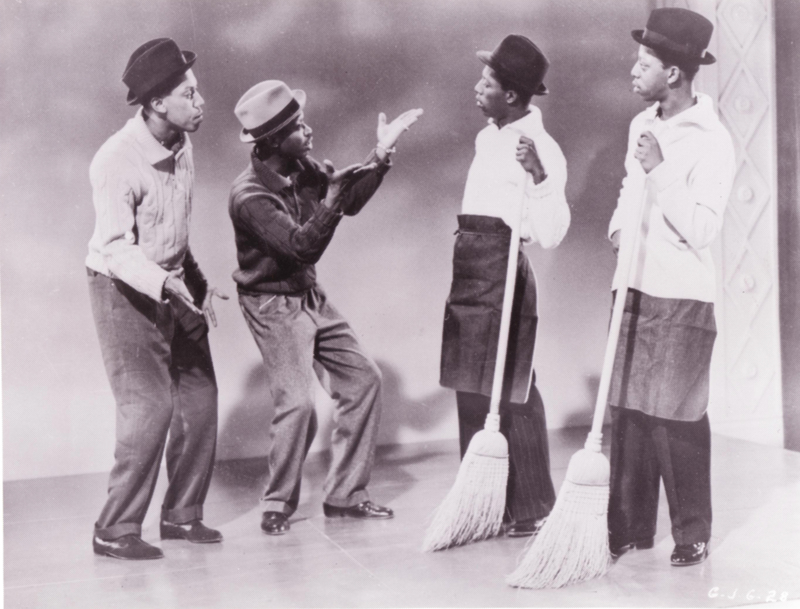 Gary: I was the choreographer for the original Duprees and I started singing with The Crests at the end of 1961. When Earl was singing with The Coasters, I was singing with The Crests – J.T. Carter, Harold “Chico” Torres, Jimmy Ancrum and occasionally, Johnny Maestro on a big rock and roll show. Earl asked me if I would like to join The Cadillacs and I joined The Cadillacs in 1982 – I had just left The Drifters with Charlie Thomas, Doc Green, Elsbeary Hobbs and occasionally Ben E. King. Joe: John Michael Hersey, you’re significantly younger than these gentlemen. How did you come to be a part of this act? John: At the time I auditioned in 1987, I didn’t even know who The Cadillacs were. Someone said they’re a famous group and as time went on, I realized who they were and how important they are. I’ve been in R&B college for 23 years. I learned how to make this kind of music and I’ve learned about show business. It’s been amazing. Joe: It seems you’ve become quite a prolific songwriter under their tutelage. I understand you wrote all of the songs on The Cadillacs’ new CD Mr. Lucky? Joe: What are your favorite memories of all the shows you’ve done through the years? Joe: Speedo and Bobby, you’ve been doing this for over 55 years and you’ve touched a lot of lives through your music and your performances. How would you like to be remembered? Speedo: As a fun-loving person that made people around me very happy. They tell me that today, but it’s hard for me to believe. People say, “Speedo, do you realize how many people you’ve influenced or you made their life better?” It’s hard for me to see that. Gary: Bobby and I were in the elevator this morning and this man said that it was your music that helped to get him through when he was in the foxholes in Vietnam and a lot of his friends were listening to The Cadillacs. 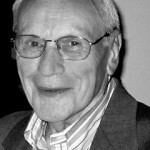 Bobby: I would like to be remembered the same way – a loveable, helpful guy, who loved entertaining and liked to help other groups. Joe: Speedo and Bobby, you’ve been friends for almost 60 years. What do you think when you look over at each other on stage? Speedo: What amazes me is that this old buzzard is still around. Bobby: Same thing! You know what I’m tired of? You ever notice we sing “The Girl I Love” and he’s singing at me? What are you singing to me for? Smiling and trying to tell me something I guess! Bobby: I’m 75 years old. You better respect me! Joe: What do you think is in store for The Cadillacs, and this music in general, in the future? And what do you think about the younger generations, especially abroad, that are discovering this music for the first time? John: Younger people, like me, we learn how to do this music. I think we’ll carry it on somehow. The 50’s was a very important era and I think that’s why people hold onto it. We learn from these guys and somehow, the songs will be performed and played on the radio and used in movies. Speedo: If you told me this music would last till 2010 or 2011? I couldn’t foresee it, but it’s happening! It’s amazing to know that it’s come this far and it’s all over the world. These kids are coming to see this doo wop and rockabilly – they’re coming from all over the world. Gary: When we go to Europe, the kids dress just like the kids dressed here in the 50’s with poodle skirts and D.A.’s and leather jackets. John: Just with a few more tattoos and piercings! Gary: In Germany there’s a club called Gloria, named after the song. We went to a night-club in Spain. This young man in a leather jacket and a D.A. with a girl in a poodle skirt, he saw and recognized Earl. He dropped to his knees and grabbed Earl’s hand and kissed his hand. “Mr. Earl! Mr. Earl!” We were in Barcelona, Spain! Poor Earl was so embarrassed. Joe: You’ve created something that will go on long after all of us are gone. How does that make you feel? Speedo: For many years, I thought it was all over. But then something comes along and it gets bigger than ever. It gets bigger and bigger every year. It’s the public – they love American rock & roll and doo wop music – and if you count them out, then evidently you can’t count.